Fancy an exciting career in the catering industry? We are looking for enthusiastic, passionate and hardworking people to become part of our team here at The Pantry. We have a strong team of kitchen staff who expertly prepare and package The Pantry's buffet food and staff who work on the daily school lunch production side of the business in line with our high standards of quality. We also employ delivery drivers who deliver our food to our clients who want buffet catering for meetings, corporate events, parties and other occasions. If you are interested in working for us, we'd love to hear from you. Please email us your CV. If you feel you are right for any of our open job positions please email us your CV and we will be back to you. We are currently on the look out for a passionate and driven Cook/ Chef catering young children on a daily basis. You will be responsible for creating healthy and nutritious menus ensuring you adhere to any special dietary requirements. You will prepare and cook the meals and also help serve around the school interacting with children. 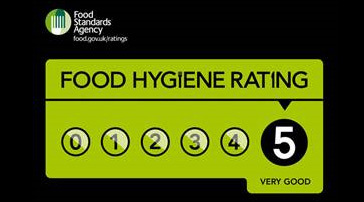 Adhering to all food hygiene and health and safety legislation ensuring a clean working environment at all times. We are looking for someone who has worked previously in a school/nursery or a care environment. A friendly nature is a must as well as experience working with different dietary and allergy requirements. The successful applicant will hold a current food hygiene, and a NVQ 2 in cookery or equivalent. You will undergo an enhanced DBS check due to the nature of the work. Hours of work are Monday to Friday, 35 hours per week, this is a term time only position. This is a great opportunity to work in a great team and expanding company. As Event Manager, you will be responsible for planning and managing client events, with the aim to provide the highest levels of customer service. Overseeing various events taking place at the same time. We are looking for a full time kitchen assistant to work within our corporate catering section. The successful applicant will work along side experienced staff preparing sandwich platters, finger food platters and sandwiches for wholesale. Working days are Sunday - Thursday. Drivers needed for our rapidly expanding delivery service.